Lions 5-134 (Quinton de Kock 32, Jean Symes 27*, Steven Patterson 2-21) beat Yorkshire 7-131 (Phil Jaques 31, Adam Lyth 21, Aaron Phangiso 2-23) by five wickets. Yorkshire scored 131 runs with three wickets to spare in the measured 20 overs and the Lions touched 134 for the loss of seven wickets in 19.2 overs. Jean Symes (Lions) was declared ‘Player of the match’ for his decisive unbeaten knock of 27 runs off 22 balls. The Champions League Twenty20 – Group B match was played on Saturday, October 20, 2012, at New Wanderers Stadium, Johannesburg. Alviro Petersen won the toss for Lions and preferred to chase while sending in the rival team to bat first. Yorkshire skipper, Andrew Gale opened the innings with Phil Jacques in a quiet manner as the first over bowled by Sohail Tanvir ended as a maiden. Jacques started well with the occasional boundaries and dispatched 2 fours in the fifth over. Gale added two more in the following overs and the first fifty of the innings was attained in the eighth over. Andrew Gale lost his wicket at 54, two balls later, at his personal feat of 21 and Phil Jacques became the third victim 13 runs later after contributing 31 off 29 balls with 5 fours. Adam Lyth and Gary Ballance tried to take the score to a respectable level with a bit of application. Ballance hit a couple of fours in the 13th over and Lyth repeated it two overs later. Ballance was gone for 17 and Lyth on 21 in 17 overs as the score reached 111 and Yorkshire managed 131 runs for the loss of seven wickets in 20 overs. Sohail Tanvir and Aaron Phangiso were the main wicket takers with two wickets each whereas Chris Morris, Alviro Petersen and Dwaine Pretorius shared one wicket each. Alviro Petersen and Gulam Bodi initiated the chase well and accumulated 15 runs in the third over as the ball visited the fence thrice. Petersen’s lack of form continued when he was caught behind by the wicketkeeper Dan Hodgson off Oliver Hannon-Dalby for 19. The first wicket was lost at 27 and Bodi followed him four runs later for eight runs. Quinton de Kock and Neil McKenzie started repair work as the first hit 12 runs in the sixth over with 1 six and 1 four. Quinton de Kock sent the ball flying over the rope two overs later and McKenzie got two more fours in the next over. The latter was declared leg before wicket off Azeem Rafiq for 13 as the score board reflected 69 in 10 overs. 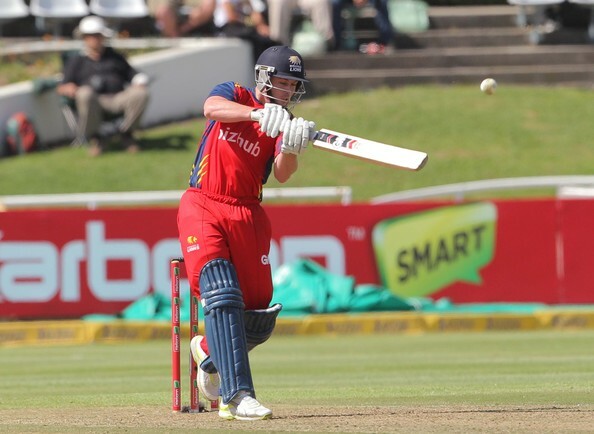 Dwaine Pretorius joined in next with de Kock who became the fourth victim after the addition of 20 runs to the total for 32 off 35 deliveries with 2 sixes and even fours. Jean Symes got in the centre next as Pretorius gathered 12 runs in the 16th over with 1 six and 1 four. 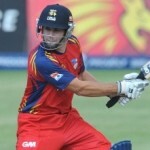 Dwaine Pretorius lost his wicket at 107 in 16.2 overs after scoring 25 off just 14 balls with 1 six and 2 fours. 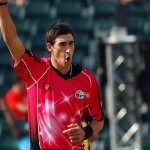 The Lions required 20 runs from the last 12 deliveries as Symes took over and got another 13 runs in the 19th over. He smashed two consecutive fours on the first two balls of the last over as the Lions met the required score by thrashing 134 runs with four balls to spare. Jean Symes remained unbeaten for 27 off 22 balls with 1 six and 3 fours at the crucial part of the innings. Steven Petersen left some kind of impression by claiming two wickets whereas Iain Wardlaw, Oliver Hannon-Dalby and Azeem Rafiq held one wicket each. The Lions won the interesting match by a good margin of five wickets and became the second team to reach the semi final from Group B after winning three out of their four games.